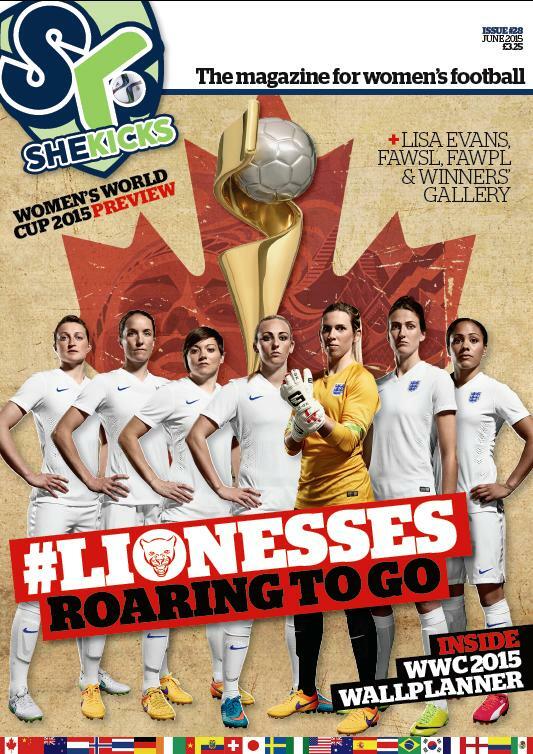 Our FIFA Women’s World Cup Canada 2015 issue is here. It’s still a regular She Kicks issue, with many of the regulars and coverage of FAWSL, FAWPL, except it has a wallplanner in the centre spread and a generally giddy World Cup feel, including a collection of preview interviews with England players and some world stars (we even have Marta answering out ‘Before & After’ questions!) and a special Kicks & Giggles & quiz spread. There’s also Lisa Evans on her move to Bayern Munich, a winners’ gallery and a load more beside. All of this for only £4.00 in the UK (inc. postage & packing) or if you live further away, we also ship to all corners of the earth (where postmen can find you). 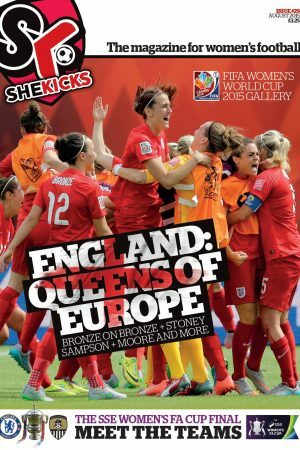 Or, if you want to share the mag with friends/teamies, for great deals on more than one copy to the same address, please get in touch by emailing: shop@shekicks.net or calling: 0191 442 1001 (During office hours. Or we won’t be there!) Contact shop@shekicks.net if you’re having any difficulty.